New Delhi: India’s Hindu nationalist ruling party vowed on Monday to strip decades-old special rights from the people of Jammu and Kashmir, making an election promise that provoked warnings of a backlash in the country’s only Muslim-majority state. 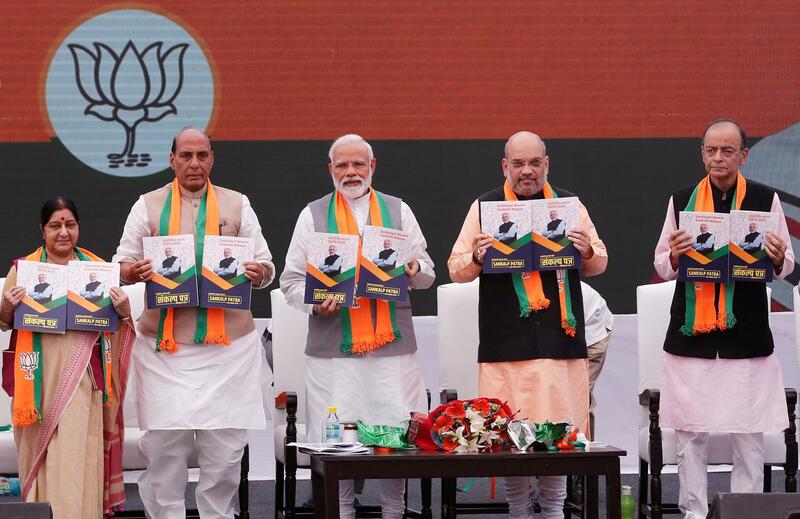 Prime Minister Narendra Modi’s Bharatiya Janata Party (BJP)is widely expected to retain power after a general election that starts on Thursday, though with a much smaller mandate, hit by concerns over a shortage of jobs and weak farm prices. The BJP pledged to simplify the goods and services tax, which disrupted businesses and hurt growth when Modi introduced it in 2017. It will also work to cut tax and boost credit to small businesses to 1 trillion rupees ($14.4 billion) by 2024.